The winners of this years' CBI Awards were announced today at a ceremony held in Smock Alley Theatre in Dublin. 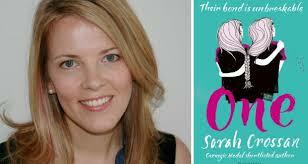 The 26th award for CBI Book of the Year 2016 went to Sarah Crossan for her amazing YA novel One, which chronicles a year in the life of conjoined twins, Grace and Tippi. Placed under constant medical and psychological evaluation and homeschooled until the age of 16, they now have to attend school for the first time in their lives. 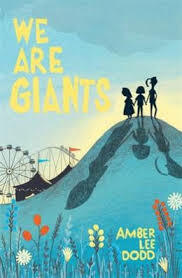 Written in verse, this is an insightful look at difference, acceptance, individuality and friendship. One was also given the Childrens Choice Award, presented to Crossan by students of Kings Hospital School Palmerstown and St Brigids National School Glasnevin. This makes Crossan the fourth author to win both. Lauren O'Neill, receiving the Honour award for Illustration with her brilliant and beautiful work on the adaption , Gulliver; an intriguing and spell-binding adaptation, retold by the late Mary Webb and published by O'Brien Press. Great job and congratulations! The Honour Award for Fiction went to Louise O'Neill for her second YA novel, Asking For It, which deals with the difficult but urgently important issues of consent, blame and victimisation. Both the Judges Special Award and the Eilís Dillon Award (for a first childrens' book) went to the father/daughter team of John and Fatti Burke for Irelandopedia, an encyclopedia of facts and information about Ireland, suited for children of all ages! 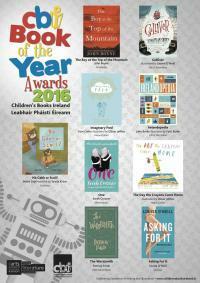 "The Children’s Books Ireland Awards are the most unique children’s book awards in the country, allowing us not only to honour the very best in Irish writing, illustration and publishing, but to give young people a voice through the Children’s Choice Award. 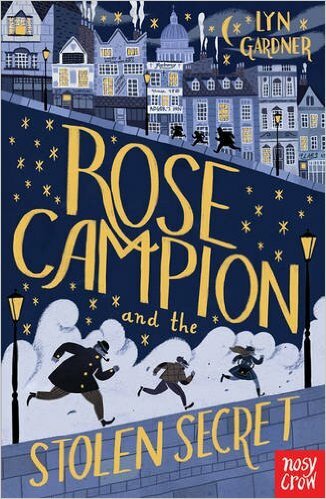 We were delighted to see a large increase in the number of young readers taking part in our shadowing scheme this year and enjoying the books on this year’s shortlist, across genre and age group." ....which is exactly why I am so proud to be associated with CBI. Congratulations to all this years' winners. Irelands new Childrens' Laureate; Laureate na nÓg; has just been announced. I offer, along with the rest of the book world in Ireland, my sincerest congratulations to the one and only PJ Lynch. PJ Lynch is the fourth Laureate na nÓg, having been handed his 'baton' by the outgoing Laureate, Eoin Colfer. He is the illustrator of over 20 incredibly beautiful books. 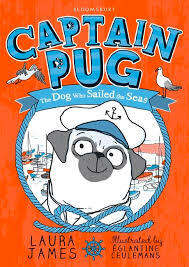 He won the Kate Greenaway Medal twice, initially for The Christmas Miracle of Jonathan Toomey, written by Susan Wojciechowski and also for When Jessie Came Across The Sea, written by Amy Hest. 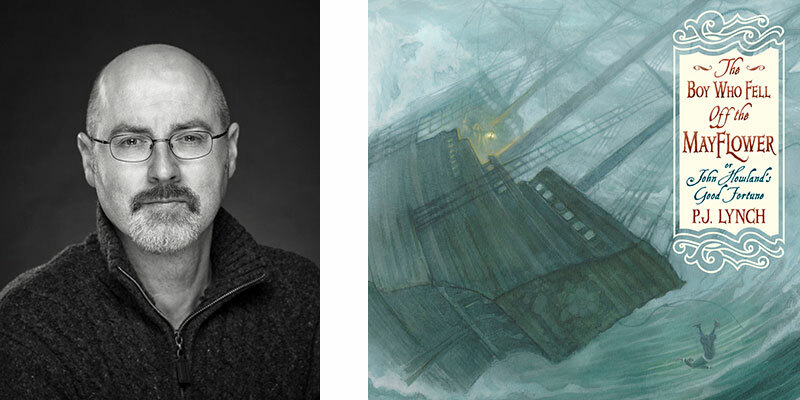 His most recent book The Boy Who Fell Off The Mayflower, was both illustrated and written by PJ. I am extremely excited for the next two years, which will be amazing. Again, my heartfelt and sincere congratulations to PJ Lynch. At 15, Wulliam is unwillingly preparing for his life as a Riverkeep, those who tend the river, dredging up corpses like his father before him. It is a treacherous and chilling life; one that Wull would rather not live. But oone night, everything changes. His father is possessed by a dark spirit of the waters and Wull hears that the only cure lies in the belly of the mormorach, a deep sea dwelling creature that lives on those who venture the waters. Wull leaves on an epic river journey, down the familiar river and deeper to the places that have never been explored. This is an utterly absorbing fantasy that will haunt you long after reading. Gripping, enthralling and exceptional. 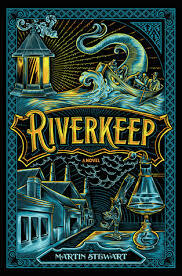 Very strange and superb, written with textural descriptive qualities that lead to a poignant and masterful conclusion. Vivi is a real spark of life; in love with everything and a whirlwind of thoughts and feelings. 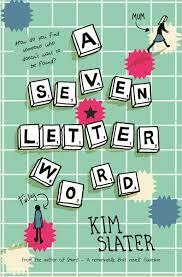 She is utterly different from anyone else in Verona Cove, the small town she finds herself living in. And, maybe it's too small for someone like Vivi. Jonah, on the other has lived there all his life. ince his father died, Jonah has been responsible for taking care of his entire family while they reeel from the shock and loss. When Vivi and Jonah meet, their worlds and concepts of life shift with new and exciting emotions, events and circumstances. Love at first sight is truly magically depicted, but...BUT...there are always consequences when worlds collide. And family life is challenging. As Jonah's mother spirals deeper into depression and things fall further apart, can Jonah and Vivi rise to keep it all together? Can Vivi deal with her own illness...or will she even recognise it? 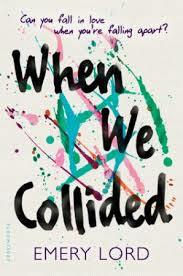 A fabulous YA love story, with heart, honesty and a poignant look at mental illness. Utlimately, amazing and beautiful. 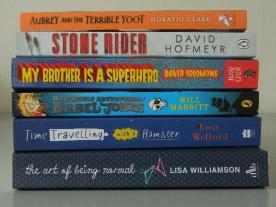 The Branford Boase Award shortlist for 2016 was announced recently, but before I show you the list, let me just recap as to what the award is all about. 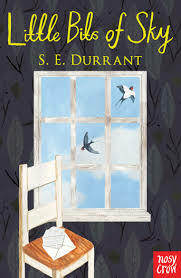 The Branford Boase award is considered one of the pivotal awards in childrens literature. 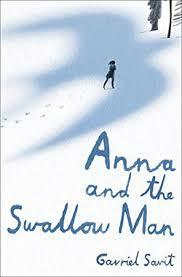 It is awarded annually to the author and editor of an outstanding debut novel for young people. and has a hugely impressive track record in identifying those with a special talent at the very start of their career. For example, Meg Rosoff, winner of this years' Astrid Lindgren Memorial Prize (considered the worlds' most noted prize in childrens' books) one the Branford Boase Award for her first novel, How I Live Now in 2005. Frances Hardinge was named the Branford Boase winner exactly 10 years ago, and has gone on to win many accolades, including being named as the overall winner of the Costa Book of the Year Award this year for her incredible, The Lie Tree. I could go on and on, but basically, if you are even listed for the Branford Boase award, you are an author/editor who will attract a lot of attention. This years' longlist of 23 authors and their editors has been whittled down to 6. From this, the judges will select "the most promising book for 7-year-olds and upwards by a first-time novelist." This is an incredibly strong shortlist. (Well, they do keep getting stronger and stronger with each passing year.) The best of wishes to you all! What To Tell Someone Who Hates Reading....again. I thought I'd post it again here, as a reminder to me, to you, my dear readers and as a 'thank you' to Kevin. You have touched a lot of lives with this post. In fact, you have touched 14,490 lives, Kevin. Well done! When I was a child (not a ‘kid’: as my nephew Ciaran Whelan always reminds me, “A kid is a goat”) a book was a fantastic thing to hold in one’s hands; turning the cover for the first time was like opening a secret door and stepping through into…what? And where? Somehow I knew that I could leave my life and its Sunday night school worries and other various minor troubles behind: for a few minutes or hours, I could engage in a form of nothing less than time travel. Another thing: Reading should be a pleasurable, enjoyable experience. If you find a particular book ‘boring’ or too ‘difficult’ for you at the time, don’t feel that you have‘failed’. You will not have. Put it aside or, pass it on to a friend. After all there are other books to read, thousands and thousands of them—thank God. Sometimes you have to be ‘ready’ for a book, the way you need to be ‘ready’ when certain people come into your life—the good and the bad—and have the intelligence to recognise which is which: The ‘boring’ or ‘difficult’ book might one day turn out to be the ‘exciting’ and ‘easy’ book. The same of course applies to people.